With a groundswell of interest, Newport Polo announces its new training program & league for adult women on Wednesdays at 6pm, starting April 15. Dan Keating, head instructor, explains that "people do best when learning in a peer group." A number of the women players that compete today in the Newport International Polo Series got their start in the former Newport Women's Polo League that Keating coached a decade ago. 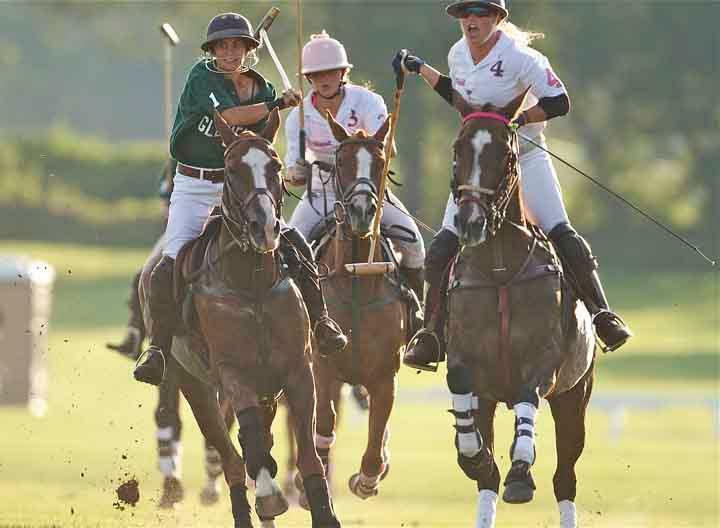 "We are excited to revive the league as a conduit for women to become competitive polo players." The Women's League will begin as early in the season as possible, starting in the arena in the spring, so that participants can have the maximum time to improve their skills with weekly practice. We will offer open enrollment, and metriculate new students in throughout the season, until the winter recess. 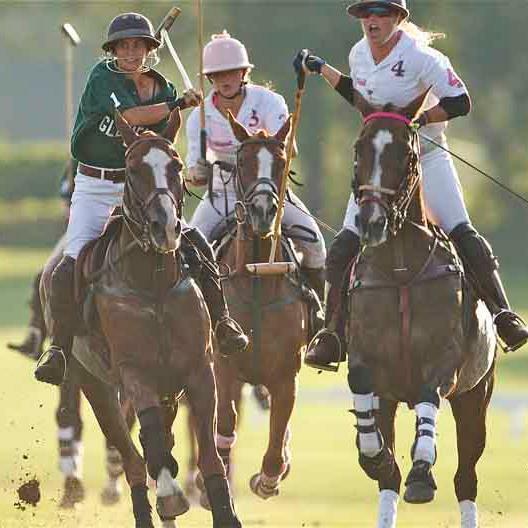 Participants will receive weekly polo instruction, and will advance to play in chukkers and opportunities to compete in tournaments as the League progresses. Some of its participants may elect to also play in the Club's Coaching League in the summer. The Women's League will also play through the Autumn months in the arena. For more information, contact the Polo Office via email to agnes@nptpolo.com.